Last week Illamasqua’s Creative Director Alex Box, Account Director Calum Mackay and Head of PR Rosa Sibaja jetted out to Dubai in celebration of the launch of Toxic Nature! 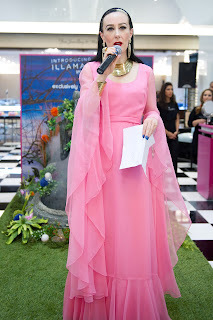 Along with the Dubai Bloomingdales team they hosted an interactive launch event for Toxic Nature within the beauty hall surrounded by the beautifully adorned counter and models transformed and inspired by the collection. ‘We looked AMAZING! 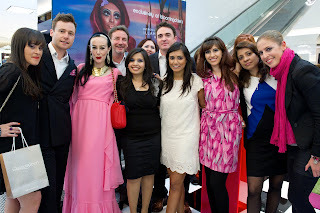 – we practically took over the entire ground floor of Bloomingdales! 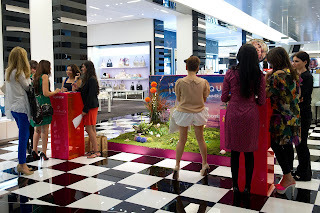 We had 4 different locations in Bloomingdales, one of these sites even had a fully working “toxic” fountain with a smoke machine! Guests of the launch were invited by a compeer in store to interact with the pieces through a very Toxic Nature themed game! They were also given the opportunity to immerse themselves into the setting and feel of the new collection by using props inspired by the Toxic Nature imagery in a digital photo booth. 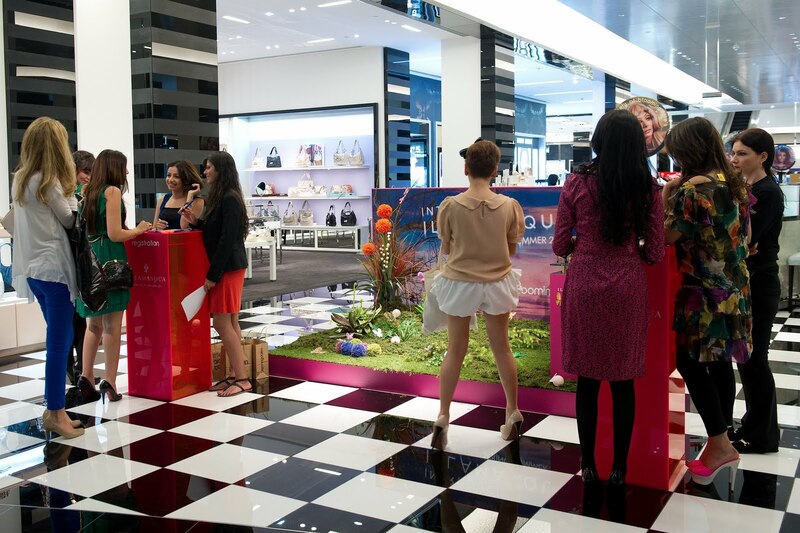 Toxic Nature is now available to purchase in Dubai in Bloomingdales!